The current version of top level of football in Ecuador has been running since 1957, with Club Sport Emelec wining the first ever league title. Barcelona Sporting Club is the most successful team, having won 15 league titles. One team from Ecuador have won the Copa Libertadores​. 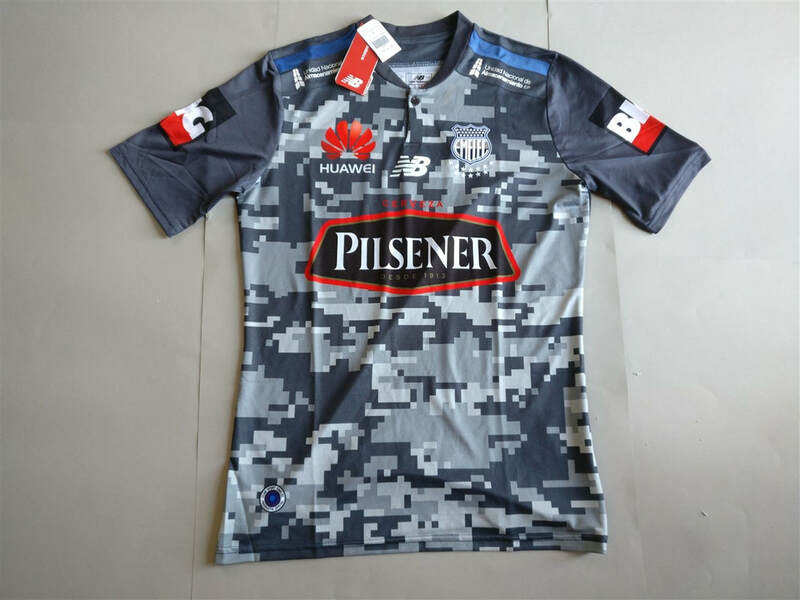 I had my eye on the Emelec shirt for over a year eagerly awaiting for the price to drop. I think over the time period the price dropped by £5 or so. In the end I convinced my brother to buy it me for Christmas. The digital camouflage is very unique and exciting. My three most recent Ecuadorian shirts that I have added to my collection.